The Dumfries House Growing Together Cooking Together Project (GTCT) is working in partnership with Netherthird Primary P6 and Greenmill Primary P5/6 as well as other education facilities across the Estate. Over the course of the year, children will attend an array of insightful workshops that aim to introduce the topics of seasonality, sustainability and the principles of harmony which will then culminate in a celebration day. The main aim of the project is to raise awareness of food and where it comes from as well as to inspire and encourage schools to grow food and eat together, as well as supporting the use of a shared outdoor classroom as a context for teaching and learning. 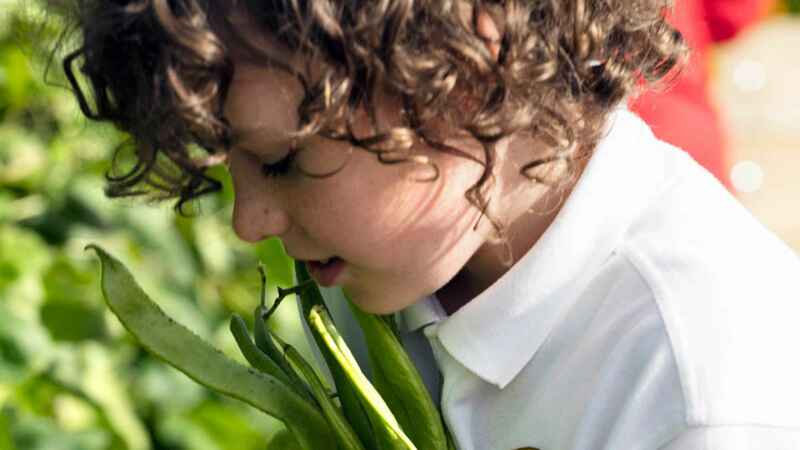 Children will visit Dumfries House Estate, specifically the Pierburg Building and Kauffman Gardens to develop skills in horticulture; learning to grow their own vegetables and to develop skills and confidence in food preparation and cooking as well as informing them on how to make healthy lifestyle choices. The project will culminate with an event to celebrate children’s learning with the school community whereby the children will host a lunch that has been grown, harvested and cooked by themselves.